Since it's Easter, I decided that it would be fun to try out an Easter themed DIY. I thought it would be adorable if I made an Easter Bunny bookmark, so that's what I did! 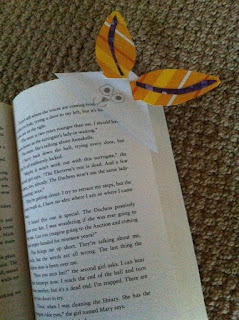 What's awesome about this bookmark is that there aren't many materials needed to make it! Sweet! Step 1: Take your envelope and cut it at the corner to the size that you would like. Step 2: Cut out a square that is two times the size of your triangle corner. From this square, cut out two bunny ears. Trace these two bunny ears on a different coloured piece of a paper and then cut them out. After cutting them out, draw a border around the ear and then cut it out. Then glue those pieces on the original ears that you had cut out. Step 3: Now, take your triangle cut out (from Step 1) and cut out a piece of coloured scrapbook paper that matches its size. Then glue that piece of paper onto the triangle. Glue the ears onto the back of the triangle. Now your soon-to-be-bunny will have some ears! Step 4: Now it's time to start creating the face of your Easter Bunny Bookmark! Start with the eyes. Cut out two white circles and draw the pupils in the middle. Glue these onto the triangle. Let's move onto the nose. Cut out a very small triangle and colour it a colour of your choice. Glue it onto the triangle. Now we are almost done! Use your sharpie to draw whiskers!! Thanks for stopping by, I hope you enjoyed it, and if you do try this, let me know! Have an amazing day! Happy Easter! Oh my goodness. This book was amazing. Sooooooooo amazing. Boy, do I have a lot to say! It was always too hard to put this book down. 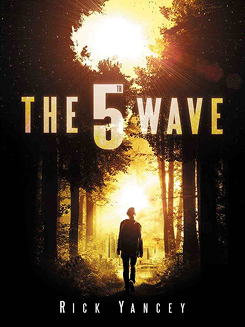 Before reading The 5th Wave, I'd heard that it was really good. I was not disappointed. It will be interesting to see the movie. This book is about a girl named Cassie -- short for Cassiopeia. She is living her completely normal teenage life, until an alien mothership arrives close to earth. Nobody knows what they want or why they are there. Until the planet is under attack. The Others (the aliens) goal: to rid the planet of the human species. And let me just say, The Others are smart! They attack in "Waves". The first wave gets rid of all electricity and stops anything cars, planes, etc, from functioning. This may not sound too bad, but considering the way we live today, this drove many people insane, terrifying many people. The second Wave was an actual wave -- a tsunami. I thought this was somewhat ironic. This wiped out everyone who lived on the coastline. The third wave was disease. A nasty plaque that almost no one could recover from. The fourth wave, well, this one is hard to explain. Basically, the aliens, in 1995 or sometime back then, had put themselves in some humans. These aliens who were "inside" some humans, were awoken for the fourth wave. When they came to life, they started killing a large number of people. And the fifth wave, well, this is very hard to explain. I don't want to spoil it for you if you haven't read it. So... read the book!! To start off, I have to say that I loved Rick Yancey's writing style! He has a way of making you feel like you are almost actually in the book. Whatever the characters start to feel, you feel it too. It's truly awesome. My favourite character from the book was Cassie -- obviously!!! She was very strong, mentally and emotionally and was able to keep herself together throughout the book. Think about it. There are aliens on earth and everyone that Cassie knows could possibly be dead. She may be the last human on earth, but she still holds on and fights for her life. She is so brave. Another quality I really liked about Cassie was how observant she was. Cassie is really perceptive and I really like reading about protagonists like that. For example, when she was sleeping with Evan and noticed that his hands were very soft, too soft for all the work he'd done around the farm after so many years. She was pretty sure something was wrong. In the end, she was right. Not only did I like Cassie as a protagonist, but I also really liked her as a narrator. The book was narrated from many different perspectives, but I enjoyed Cassie's narration parts the most. I found her parts the most interesting. She was also very sarcastic, which I loved. Now to the sad part: What did I dislike about the book? I know. It's sad. I have to come to this anyways though, I really do. My biggest complaint/problem with this book was the changing point of views. It made absolutely no sense!! I was so confused about who was narrating and I couldn't figure out that one of the narrators was Ben aka Zombie until halfway through the book when he actually mentioned his name. It drove me INSANE!! I was lost for a lot of it at first. First I'm with Cassie, as she bleeds underneath a car, then I'm suddenly with Ben, except that I didn't know that he was Ben, and then I'm with "The Silencer", or Evan, (I didn't know who it was at the time though), then I'm with Sammy. The fact that the different parts weren't labeled with the name of the narrator made it even more confusing. Agghhhh. When I first read Ben's part, I thought that he was actually Cassie and got so confused because I thought that she had a sister. There were so many times that I thought I was reading about Cassie when I was actually reading about Ben. Eventually, I got the hang of it. Even (or should I say Evan, hahaha) then, I'm really glad I read this book and I highly recommend it. I'm excited to see how they brought this book to life in the movie. I'd give The 5th wave 4.3 out of 5 stars. I really enjoyed it and I am excited to read The Infinite Sea! Thanks for stopping and reading! Have an amazing day! "I have to work here? With... Caleb?" "This is fun. I'm glad we did this." "Great, now the sky's bleeding." Alright! There were a lot of strange things about this movie that didn't follow the plot line of the book. Not much of it did, but the rough outline is there. If I hadn't read the book, I would probably have thought of it as very good. But there were lots of separate things I found strange. First: Outside the wall looks like Mars! What?? It actually looks like they're on another planet. Anyways, the four of them are running through the Mars landscape, and the people come and save them and they say "Our bubbles will shield you from the radiation!" So Tris, Four, Caleb, and Peter each get these weird orange bubbles and float alongside of a ship (dare I mention how fake the floating looked). But when they arrive at their destination, nobody else is wearing a protective bubble. And they're outside. What happened to the radiation?? Plus, how did the *wall* around Chicago protect the citizens from radiation? Really? A wall doesn't keep out radiation. Radiation can literally just go over the wall. It's not even a consistent thick stone wall, it has gaps in it big enough for multiple people to stand inside. I am not convinced, movie. The action sequences were very suspenseful and well put together, though. I did like the movie, it just didn't really follow the book much. Later on in the movie, when they turn off the machine that emits orange toxic gas (everything these people have and make is orange??) the gas goes back into the vents. Not one bit goes into the air and everybody's fine and completely safe. Because: movie logic! There's no: "Please remain inside. A toxic gas has gotten into the air!" Nope, the toxic gas has been completely removed from the atmosphere. Um, what? Of course, as always, during the fighting scenes, all guards/soldiers have been trained to fight, right? Nope, they miss 99% of their shots. Of course. Tris and company never miss, because plot. Also, the 'pure' and 'damaged' was quite confusing. I don't even remember if that was mentioned in the book or not. And the whole thing with 'The Fringe' was also confusing. Lots and lots of confusing things. "We're here to save you! Hold on, I'm just going to shoot your dad and wipe your memory!" If I hadn't read the books, I would have been even more confused than I already was (which would have been a lot). Another thing; Tris knows very well that you can't trust many people. But then David comes and tells her she's completely safe with him and she's all: "Oh, okay, of course, whatever you say goes!" She doesn't even trust Four anymore. Really? Tris, out of all people, you should know better. All the people who haven't read the books will come back anyways. They've seen nothing but greatness from this movie franchise, after all... :( So, overall, I think they'll still have success with this last movie. Anyways, the overall rating I would have given the movie directly after watching it is 3.5 stars. Now that I've thought about it, I'm lowering that to 2.5 stars. It wasn't accurate to the books, and it was confusing, but the actors were fantastic, of course, and the movie overall was still enjoyable. I would say it's still worth the watch. It is time for our first tag together!! How exciting! This tag was created by Hi I Love Books on YouTube. So, let's start! See, there's a problem here. Neither one of us ever really buy books. We get most of our books as gifts for birthdays and the like. If we want to read a book, we take it out from the library, which is a fantastic alternative to buying expensive books all the time that we'll only read once anyways. But books we've taken out of the library because of their covers would probably be Teardrop by Lauren Kate, The Lies About Truth by Courtney C. Stevens, The School for Good and Evil by Soman Chainani, and White Cat by Holly Black. Divergent by Veronica Roth, Atlantia by Allie Condie and We Are All Made Of Molecules by Susin Nielsin all sounded great. The Young Elites by Marie Lu, The 5th Wave by Rick Yancey, and Then There Were None by Agatha Christie. These books were all beautifully written! Amazing writing styles. Cinder by Marissa Meyer, The Hunger Games by Suzanne Collins, Divergent by Veronica Roth, Matched by Allie Condie. Teardrop by Lauren Kate, The Young Elites by Marie Lu. The 5th Wave by Rick Yancey feels really matted, All The Lunar Chronicles books by Marissa Meyer, Six of Crows by Leigh Bardugo, and To Kill A Mockingbird by Harper Lee. TKAM by Harper Lee has such a nice feeling. Harry Potter by J.K. Rowling, Divergent by Veronica Roth, We Are All Made Of Molecules by Susin Nielsin and The Lunar Chronicles by Marissa Meyer, because those are all amazing books that are totally worth re-reading in the future. Ta-daa! That was fun, now, wasn't it? We weren't tagged by anyone, but if you'd like to do this, consider yourself tagged by us! ;) Thanks so much for stopping by, and have a really awesome day! You deserve it. Greetings fellow earthlings! We have an important update for you today. Previously, we have used one shared Google+ account for all posts and simply indicated whether we're Unicorn or Pegasus. We've found a solution to this now, so from here on, 'Unicorn' and 'Pegasus' will be two separate admins on this blog, which will make it a lot easier for us to stay organized with posts. At the bottom of every post, there will be a little profile indicating who the author of that post is. All previous posts will still be under our shared account, but all future posts will be posted by either Unicorn or Pegasus. If we do a post together, it'll still be posted by the shared account. Apologies for the confusion and inconvenience. We hope this will make our blog better and easier to navigate in the future. As you probably know, we have recently changed the whole look of our blog. We've also added things to the sidebar and much more. We are continuously working on improving the blog to make it a better experience for our readers, so there may be more upcoming changes. In a sentence: As soon as I stepped into the bookstore, I was filled with an overwhelming sense of vellichor. In a sentence: Have you read Divergent by Veronica Roth? It's unputdownable! In a sentence: I want your performance to be absolutely impeccable. In a sentence: She lives in an overly expensive but commodious apartment. In a sentence: The artwork was rather grotesque and frightening; neither I nor any of my friends liked it. In a sentence: The provenance of the painting remains a mystery. In a sentence: I experience many epiphanies every day, which have really opened up my eyes to the suffering of the world. In a sentence: This lake hasn't always been here; it's anthropogenic. In a sentence: After the argument, I spent the weekend in complete solitude. Not even my husband wanted to talk to me. In a sentence: My cat looks cute but is really so nefarious. I swear he's plotting to kill me. In a sentence: I was at the grocery store yesterday and bought a plethora of sweets for the party tonight. In a sentence: Probity is an important quality I look for in friends. In a sentence: Fans were jubilant when the author announced there would be a sequel to the book. In a sentence: You shouldn't do that, it's illicit. In a sentence: I can't describe what the waterfall looked like; it was ineffable. In a sentence: If he hadn't spilled all of his milk that morning, he would never have rushed to the grocery story where he then met his future wife. What serendipity! I hope you guys enjoyed that! Are you all jubilant now? =P As always, thanks so much for reading, and have an amazing day! Greetings fellow earthlings!! It's Pegasus! Today, I'm doing a tag! Yay! This tag is called The Candy Book Tag. You can never go wrong with candy! At least I would hope so. I wasn't tagged on this one, but I'll consider myself tagged anyways! 1. Apples: Ah. Healthy food. It is deep, meaningful, and probably won a lot of awards but, um, it really isn’t your thing. 2. Milk chocolate (or should I say dark chocolate? ): this is a book you’d recommend to absolutely EVERYONE. This is going to be hard. There are so many books that I have to recommend!! To make this easier, I'll go with a book that I have recommended the most. This is still hard. I've narrowed it down to I'll Give You The Sun, The Cuckoos Calling, The Hunger Games, and The Lunar Chronicles (a series, but still!) I'm going to go with Cinder, since I really enjoyed the Lunar Chronicles Series, and Cinder is the first book of the series. Soooooooo good! I LOVE dark chocolate, if you were wondering. 3. Black jellybeans: why do these exist?? It's hard, but I'm going to have to go with Allegiant. I LOVED the Divergent series, but this book made me feel torn. I cried. SPOILER ALERT. SKIP QUESTION IF YOU DO NOT WANT THIS BOOK TO BE SPOILED. It is decided by the author, that she should go and kill Tris, well, not her physically, as the author is not actually in the book, but you know what I mean. This just made me heartbroken. I was really attached to this series! I still am. Anyways, if I hadn't read this book, it would have been as though Tris never died. If this book DID NOT exist, Tris would have never died such an awful death so young. 4. Chocolate kisses: awww this novel had the best romance. I'm not huge into romance novels so I'm going to have to think about this one for awhile. Paper Towns? I mean, this one was pretty romantic, in a way. Quentin goes to so much trouble to find Margo, who he is in love with and who has run away to another city. Once he finds her, SPOILER ALERT, she tells him she didn't want to be found and that she is trying to find herself. He then has to let go. In the end, he was in love with a girl who he really didn't now. Pretty romantic? Not the end, but the whole part about him searching for her, skipping school, driving miles to find her; how is that not romantic??? 5. Gummy Spiders: Eek! You made sure to check under your bed every night for a week after reading this book! There's been quite a few of these, but come to think of it, I can't recall which ones. The Young Elites wasn't scary, but after reading it at late hours, I would sometimes imagine scary black demons rising from the carpet, which kinda creeped me out. But to be honest, it wasn't really all that bad. I'm hoping I'll think of one soon and then add it later when I remember. Ooooh! I remember one! But it was from a really really really really really really really really really long time ago. When I was in Grade 2 or 3, I started reading Harry Potter. I was terrified by the whole two faced person thing, especially since one of the faces was Voldemort. How mortifying! I was so worried Voldemort would come and attack me. Yikes. 6. Jumbo Lollipop: This took you forever to get through, but hey! You did it! The Cuckoos Calling by Robert Galbraith aka J.K. Rowling. This was such a long book but so intriguing!! I picked it up and could not stop!! I read it during my trip to Cuba. I'm a pretty fast reader, but I'd have to say that this one took me longer than usual. However, it was a really nice change and a very memorable book. 7. Cotton Candy: Admit it, you loved this when you were younger (you probably still do). Think children’s or MG fiction. A few days ago, I (Pegasus) just finished reading Stars Above by Marissa Meyer. Yay! I have now completed all the books that are part of the Lunar Chronicle Series! This book was a Lunar Chronicle Collection book, to be more specific. I really enjoyed it. The book Stars Above by Marissa Meyer includes sections from the Lunar Chronicle Series that are presented from different peoples perspectives, such as the "scene" where Cinder met Kai, except that this "scene" is encountered from Kai's perspective. This book also includes sections that happened before the first book. For example, what exactly happened to Cinder. How did she get to New Beijing? As well as what happened to Wolf, such as when he got taken away from his family and why, as well as how he came to be the Alpha of his pack. My favourite section of the book was the final section, titled Something Old, Something New. This section is the story of what happens to Cinder and her friends after the book, Winter. It shows what lies ahead for them in the future and shows the decisions that Cinder makes and more. If that made no sense, then please go read the book! It will make sense afterwards, I promise! You will understand. Read, read, read! This book includes much romance, secrets and hope when dealing with almost every section in this book. In the section explaining Wolf's young self, the book includes despair, loss, gain, sorrow, as well as pride. In Michelle Benoit's (Scarlet's grandmother's) section, the book deals with feeling worried, constantly worried at that, hiding deadly secrets, feeling wistful, and more. I was very pleased with this book. I felt as though it was a nice way to end the Lunar Chronicles. It shows how life will continue on for Lunars and Earthens because of the actions that Cinder and Kai, along with others, chose to make. The ending of the book was very satisfying. If I were to give this book a rating out of 5, I'd give it a 4.45, or maybe higher but I needed to be specific. I know, I am very specific. 😄 As I said before, I thought it was a nice way to finish of the series. I hope you will read this book! If you have not yet started reading the Lunar Chronicle series, start now!! Tip: It might be helpful to coordinate with other friends/relatives to make sure that nobody is getting them the same thing. That would be slightly awkward if two people got someone the same gift, especially if they can't return it. Books, of course. Do you know what books they've been dying to read? Buy them those! Collector's Editions. Is there a book they absolutely love that they don't have? Give them the collector's edition of it. Collector's editions are great gifts since they come with lots of awesome bits and pieces, posters for instance, that aren't included in the regular book. Gift cards to their favourite bookstore. Aren't sure what book to get them? Just get them a gift card; you can never go wrong with that. Bookmarks. There are lots of pretty bookmarks out there. (This, for instance, is a cool one. The pen is totally epic too. This is another example of a nice bookmark.) Get them a few really great bookmarks they'll love, or just give them one to go along with the book you're giving them. An e reader. 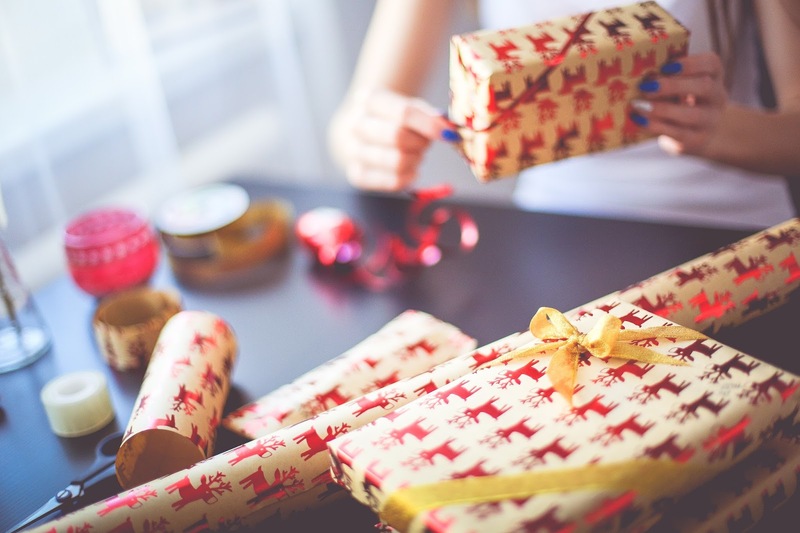 If this is a big gift and you're willing to spend more money, this may be something they'd enjoy. A fluffy pillow. This will make their favourite reading spot comfy and it'll look great too. A fluffy blanket. This will be good for when you cozy up with a book on a cold day. Clothes/pyjamas. I love coming home from school and getting into pyjamas and reading. It's the best! You could get them a warm Christmas sweater or warm pyjama pants or (my personal favourite out of these clothing ideas) a really cool shirt with some sort of nerdy reference/thing on it! A scented candle. These will make your reading area smell amazing and will give it a cozy, bookish, awesome feel. Book posters. This will make their bedroom or wherever they decide to put it look awesome, and posters are always a great way to declare what books you love! Book collectibles, like figurines or other things. You can look up '<BookName> Collectible' and you'll most likely find lots of things you can order off of many different online stores. Greetings fellow earthlings! It's me, Pegasus! I have just finished reading the book Winter, and am thrilled as I waited for it from the library for almost a year, or at least for what felt like a year. When I had put it on hold, there were already 65 holds, but I held on. By the time I got it, I had only a vague memory of what had happened in the other books, but luckily I remembered all the details quite quickly once I had cracked it open. Winter is the fourth book of the Lunar Chronicle Series and is a great concluding book to the series. There is still another book following it (Stars Above), but it is actually more of a background story to the series, rather than a continuation book. 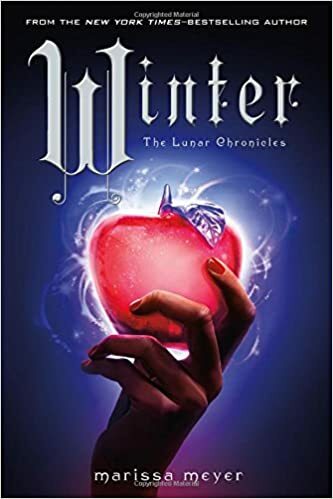 Winter is the continuation of Cinder's journey with her friends, Scarlet, Wolf, Iko, Cress, Thorne, Jacin, and Winter. After getting quite familiar with the series, I felt as though I was able to connect with most of the characters -- except for Winter. She was, well, a compelling, yet complicated character; Winter often had awful hallucinations, such as blood pouring from the walls, which led to some people thinking she was crazy. She often referred to herself as damaged near the end of the book. This book was about the rebellion that Cinder is causing so that she will possibly be able to take her rightful place on Luna -- as queen. Cinder is a brave character, who takes many risks to ensure that the people of Luna get what they deserve and that everyone is treated as equals. Maybe this is why I feel that I can connect with Cinder. In this book, along with Cinder, Winter will try to help Cinder win a war that has been raging on for far too long. Winter combines love, forgiveness, guilt, intensity, war, letting go of the past, fairy-tales, and even a bit of Star Wars. One thing I wish was improved about the book was the pace of the book. I felt as though some parts of the book moved too slowly, causing too much anticipation, while other parts of the book went by rapidly. I'd give this book a 4.5 stars, as it was a great concluding book, and very interesting and exciting. It was also concluded well, which I was very happy about. I tend to find that many series end with a cliff-hanger, which I dislike. The way this book was concluded still may leave you wondering, but it satisfied my needs!! If you like fairy-tale books, or Science Fiction, this is a very satisfying book. Greetings fellow earthlings! It's me, Unicorn. It's finally spring! You know what that means; no school, lots of sun, and lots and lots of time for reading! To welcome the spring time, I've compiled a list of 6 happy books to get you in a happy spring mood. 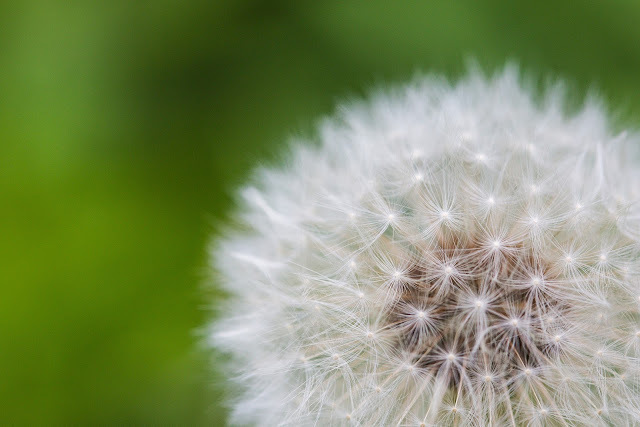 This book is about Madeline, a girl who is allergic to everything. She stays inside her clean, controlled home 24/7. She never leaves, and she's perfectly fine with that. Until a boy named Olly moves in next door and all of a sudden, the outside world seems much more interesting. Cath is an author. An author of fan fiction to be exact. Cath and her inseperable twin sister Wren are now attending college. But for poor little anti-social Cath, things only go downhill from there. Wren tells Cath that she doesn't want to be roommates anymore, and Cath is surrounded by: her creative writing professor who thinks fan fiction is horrible, her roommate's charming boyfriend, a classmate who's almost also as charming as her roommate's boyfriend and lots of partying-obsessed college students. On top of that, her father has never really been alone without his two daughters, and Cath has no idea if he'll be able to handle it - after all, she isn't sure if she can handle things herself. Sadie Kingston's life was perfect, until the accident happened. The accident that killed her best friend and left her with scars all over her. Sadie doesn't like crowds of people and generally avoids leaving her own home. But she has a list; a list of things she wants to do to overcome her fears and become herself again. The list is an impossible challenge, but Sadie Kingston is determined to do it. Stewart couldn't be more excited to have a new sister - step-sister that is. But when Stewart and his dad move in with Caroline, Stewart's new step-mom, and her daughter Ashley, nothing goes the way they had planned. Ashley thinks Stewart is nothing but annoying and definitely not a part of her family. This book covers loss, divorce, and other serious topics but remains a happy, hilarious read at the same time. Harry Potter is treated badly by everyone; Aunt Petunia, Uncle Vernon, and his spoiled cousin Dudley. Harry lives in a cupboard under the stairs and has a miserable life, until strange things begin happening, and Harry ends up in Hogwarts School Of Witchcraft and Wizardry. It turns out that Harry Potter is not an ordinary boy, he is a wizard! Do you have any happy book recommendations? Leave your suggestions down below! P.S. So many posts! This is, what, 3 posts in 5 days now? I'm on a roll! Greetings fellow earthlings! It's me, Unicorn. I was at the library last week and wanted something to read, so I decided to just pick something with a pretty cover and see if I like it. (You shouldn't judge a book by its' cover. I know, I know, I'm sorry.) 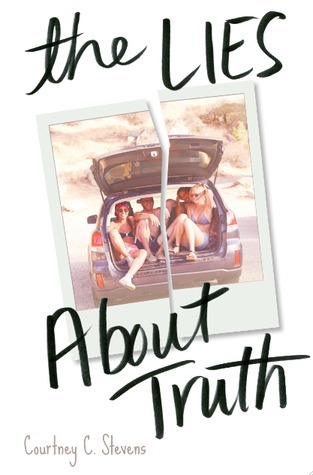 I picked The Lies About Truth by Courtney C. Stevens. (That pretty Polaroid got me.) It's a relatively new book; it actually only came out in November. Even though I picked up this book almost solely because of the cover, I was not disappointed. Not really. I'm not totally sure how I feel about this book, to be honest. This book is about a girl named Sadie who was in a terrible car accident in which her best friend Trent died, and she now has scars. She doesn't liked crowds or people in general and avoids most humans except for her parents and therapist (I'm 99% sure she has a therapist, but I might be getting this mixed up with another book.) Every night she writes the same list for herself. All of her goals are on it, but they're seemingly impossible and she has to face her worst fears in order to complete them. The Lies About Truth combines love, adventure, loss, forgiveness, lies, mystery and anger. I liked the characters, though I think it took a while to actually be able to get to know them. I never really felt attached to any of the characters, and I never felt bad for them, no matter how much grief they were going through. I haven't experienced a loss like that in my life, so I can't say if I think the way it's portrayed is accurate or not. The characters also all seemed really similar. Gray, Gina, Sadie, and Max all seemed pretty much identical when they were together. I do think the friendships were pretty realistic, though. They had problems at times but also bonded over certain things, which I liked. I also loved the flashbacks Sadie had of her past. One thing I didn't like much was how slow moving it was. It took quite a while for the story to really begin and then (SPOILER ALERT, GO TO NEXT PARAGRAPH) when they went to the Fountain Of Youth, not much really happened. Gray confessed what he did and they drank some water from the fountain. When Sadie completed goals on her list, it didn't make me feel excited. I didn't go 'Yes, she finally did it! Go Sadie! Another thing to check off of your list! Woop woop!' Like I said before, I never had an 'emotional connection' with the characters. When the characters were mad at each other, I wasn't upset. I didn't feel much emotion throughout this book at all. I'd give this book between 3 and 3.5 stars. If you like contemporary romance books and don't mind if a story is a little slow, you'll probably enjoy this. It just wasn't my personal favourite. Greetings fellow earthlings! Welcome to the Readers Confession Tag! I saw this on Booktube and thought it would be fun to do! Here, I will basically confess bad book related things I've done. Let's begin! Yup. That's the downside of preferring paperbacks over hardcovers. I try very hard to take really good care of my books, though. 2. Have you ever damaged a book you borrowed? Luckily no. Phew! I'm extra cautious with things I borrow. It depends on the type of book and how much time I have. I usually spread out my reading over multiple days because I don't always have the time (or the determination) to read a book in one sitting. If it's a contemporary book, it usually takes me a few days, 3 at most. Other books can take me up to a week, though I read the whole Matched trilogy in a few days. 4. Are there books you haven't finished? Yes, there are. City Of Bones by Cassandra Clare is one of them. I didn't have much time to read and then I had to return it to the library and haven't finished it. The Fault In Our Stars by John Green, We Were Liars by E. Lockhart, and The Hobbit by J. R. R. Tolkien. I never really read classics because I don't tend to like them. But some of the books we've had to read for school were classics, and I never like a book if I'm forced to read it. I never borrow books from people in the first place. I also always return library books. So, fortunately none! That's all! If you'd like to try this, leave a comment so I can read you answers! I'd love to know what you guys would answer to these questions. Have an awesome day!